This presentation was delivered during the 2014 Great Plains Alliance for Computers and Writing held November 7 at St. Cloud State University. 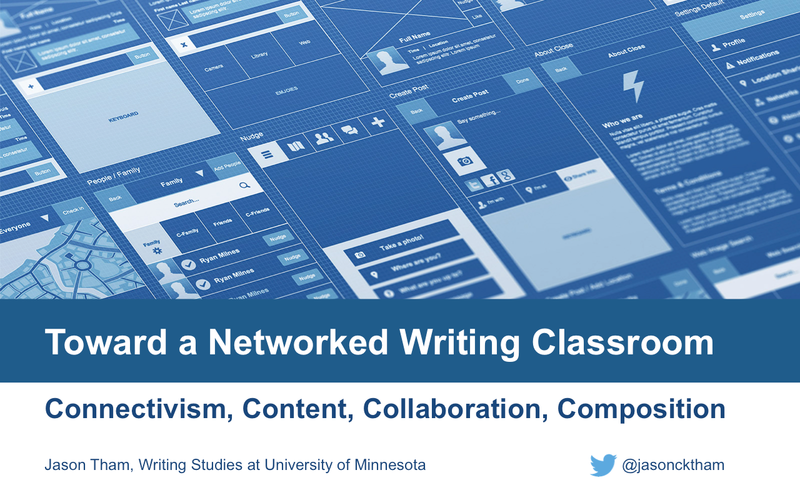 In this presentation, I share about the possibilities of creating a connected learning environment for writing courses, drawing specifically from the theory of connectivism. Just at about the start of this semester, I was contacted by Prof. Randall Monty from the University of Texas-Pan American to participate in one of his class activities – to correspond with his students over Twitter on the topic of using hashtags in the writing classroom. As soon as I said yes, my Twitter feed flooded by eager students with interesting questions on the viability and effectiveness of integrating Twitter into a writing curriculum. To put it simply, students in Prof. Monty’s class are learning from individuals to draw expertise and information outside their brick and mortar classroom. This approach to teaching and learning is widely known as connected learning – a pedagogical approach for the demands and opportunities we experience in this digital age. This kind of learning is learning on demand, and it’s an amazing place for students today to be. Yet, students need to able to actively and critically locate and handle the information made available by the Internet and social technologies. The Internet connects us in unprecedented ways. In essence, the tools and social technologies allow us to build global learning networks where we can pursue our intellectual or creative passions with others who share them. And the explosion of learning outside of school walls is too powerful to ignore. A network, then, can simply be defined as connections between entities. Computer networks, power grids, and social networks all function on the simple principle that people, groups, systems, nodes, entities can be connected to create an integrated whole. In the sense of connected learning, it’s all about making and strengthening connections between profitable entities. Will Richardson and Rob Mancabelli in their book, Personal Learning Networks: Using the Power of Connections to Transform Education, say that reforms are simply not going to make the cut in a world where we can connect and create and share through the devices we carry in our pockets. Instead of reforming the education system – that’s to tweak what we’ve got – we need to transform it – to create a new approach to teaching and learning altogether. At the 2013 Great Plains Alliance for Computers and Writing held at the University of Minnesota, Prof. Duin from the Department of Writing Studies was one of the keynote speakers at the conference. 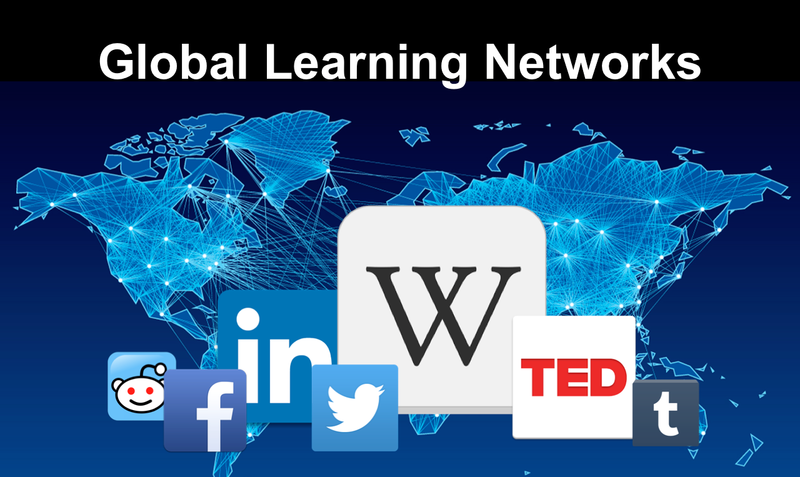 In her presentation she encouraged to participate in active exploration of the personal learning networks and to reimagine and recreate our programs for a future of connected learning. @claysad @TimothyOleksiak @JasonCKTham Great suggestion. Bring in resources; make connections. It's not about the content; it's connections. She tweeted in response to my presentation then suggesting that learning is more than just about the content in the classroom – we should bring in resources from outside. Thus, it is about connections. As such, as teachers we need to reconsider our current ways of learning and knowledge making. The problems with today’s learning structure are that it is age-grouped, discipline-specific, teacher-run, and student progress is monitored through loose assessments. Further, there are a lot of untapped information outside the classroom. To achieve these literacy goals, I propose introducing Personal Learning Networks (PLNs) to the classroom. One working definition that I found on the web is this by Warlick. A PLN involves an individual’s topic-oriented goals, a set of practices and techniques aimed at attending and organizing a variety of relevant content sources, selected for their value, to help the owner achieve a professional goal or personal interest. Forms: diagram, contact list, maps, live networks, etc. Who do they talk to or interact with on a daily basis? How do those interactions take place? What are the contexts for those interactions? Work? Family? What resources do they learn about due to the interactions? Who would they like to interact with as part of their learning process? These instances make me think about my own learning process. When putting together this presentation, I asked myself, what have I done to connect with people outside my classroom to learn about a certain subject matter? I then recalled when I was in Prof. Matt Barton’s digital rhetoric and cultures class in 2012, I have tried connecting with one of the writers in our course text and here’s a brief exchange we had. 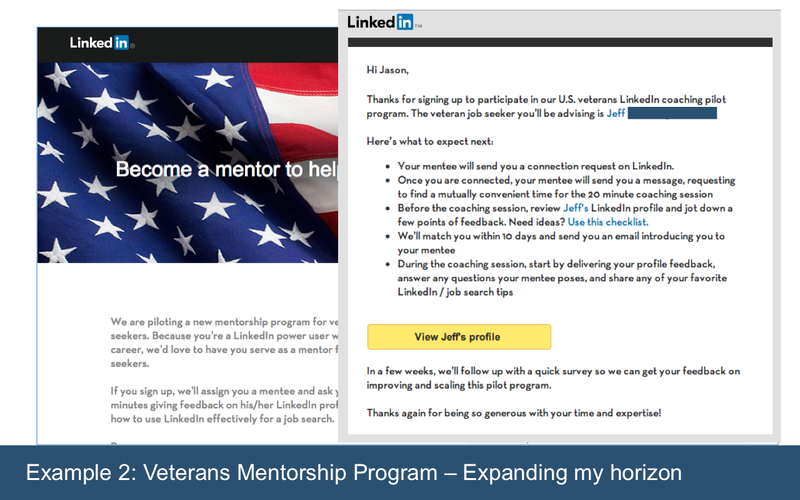 Another example took place just this past summer, when I signed up for the veterans mentorship program offered through LinkedIn. At that time, LinkedIn piloted a program that aimed to help veterans to readjust to civilian jobs and they acquired seasoned LinkedIn users to help “coach” these veterans to use LinkedIn as part their transition process. I was fortunate to be paired with a Cyberspace officer from the US AirForce and we had some meaningful exchanges on how to use LinkedIn to get a job (basically). I am happy to say that he’s now employed as an IT Technical Manager in Virginia. This experience has expanded my horizon not only by working with someone old than me, but from a field that I had no experience in. It was rewarding. 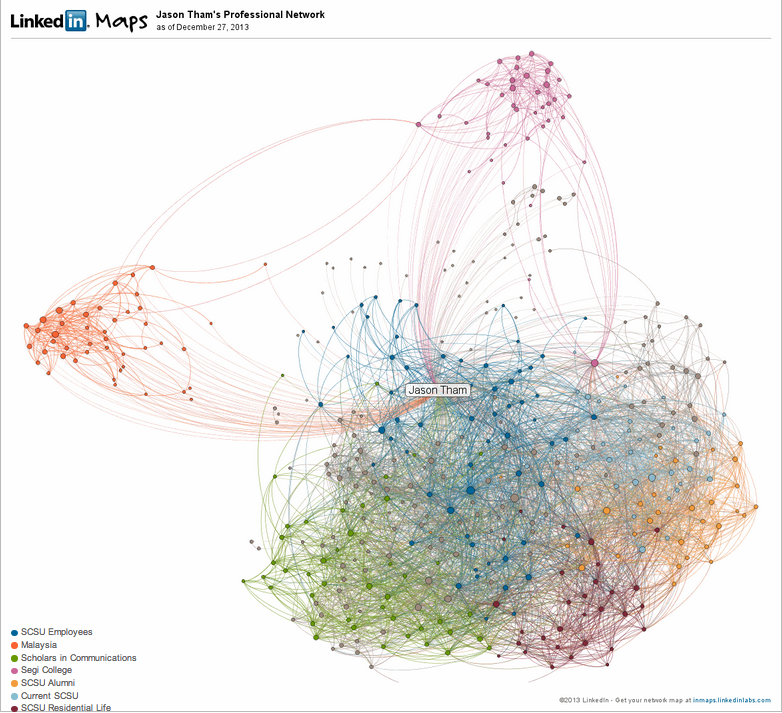 Finally, here’s an example of my PLN for my doctoral dissertation. I would like to bring it home by thinking about connectivism in the composition classroom. Some key benefits that I think the connected learning model and PLNs can bring for the writing classroom include the following. First, it is student-centered. It means that emphasis is put on helping students to develop skills for lifelong, self-directed learning rather than the content that students are suppose to memorize and then reproduce during a test. 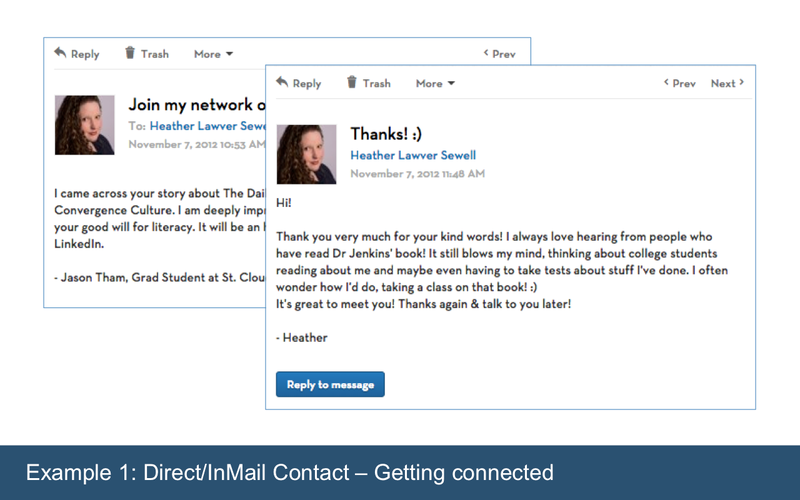 Second, a networked classroom means that students’ works are transparent and accessible. These classrooms give students the opportunities to learn about participation, publishing, safety, and increase cultural awareness. Networked classrooms, by their very nature, are collaborative. Students do not only learn from others, they themselves can become teachers in areas they are specialized in, and help others to learn. This makes the creation and sharing of knowledge more meaningful. Fourth, problem- and inquiry-based learning are more possible in networked classrooms. Students can work on real-world problems with people they are connected to try to solve them, learning from these experiences the challenges in their fields and thinking about how they can contribute. Finally, networked classrooms are driven by authentic assessments. This means that students are not just judged on quiz or test scores, but rather they are measured by their contribution to the problem-solving process, performances, portfolios, among other ways. Resource network (advance learner connections): The goal here is to advance learner connections. Students develop a PLN to document the resources they use and to connect with new people and resources. The Resource Network assignment raises awareness about resources used and current connections. Learning patterns (advance understanding of a discipline): The goal is to increase understanding of learning patterns and the value of resources. Students develop a PLN to think learning goals and how they plan to delve into their research. They could design and curate a PLN throughout a semester as a means to develop ideas and recognize learning patterns. Students can also document changes in thought regarding the value of different resources. 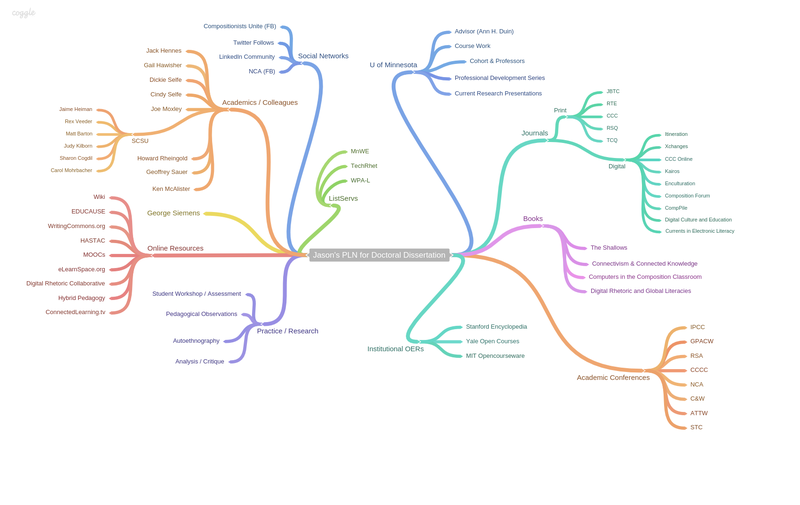 Professional development (advance future employment): The goal is to advance future employment: to continue learning outside of the formal course, to continue making connections, and to sustain professional development. Students develop a PLN that includes a career development focus. To test the water, I plan to integrate PLN into one of my major assignments for the first-year writing students this semester. I plan to use PLN as a pre-writing exercise to help my students develop their initial annotated bibliography by looking at resources outside the classroom (or my expertise). Now, I think we are doing our students a disservice if we don’t consider the speed bumps found in the networked classrooms. There are surely challenges to such approach. Without questions, they safety of our students is key as we expose them to the world of unlimited information and people. The safe and ethical use of online spaces needs to taught as part of the networked curriculum. Second, many teachers try to quantify the participations of their students in networked projects by giving grades based on the number of blog posts or comments they make. Richardson and Mancabelli recommend trying a more qualitative strategy by asking students to reflect on their own participation. As for the questions of ownership and rights to materials online, one way to overcome this challenge is for educators to familiarize themselves with their respective institutional policies and to advocate for new solutions that allow students to work online. Creative Commons is a great resources for students to find resources for their networked project. Finally, we should consider the participation of students’ parents in the networked classroom. While parents should not be necessarily seen as a threat, I think this goes back to the first ethical considerations. Teachers and the institution may need to set up some boundaries so both the parents and students can maximize their participation in the learning process. So, going forward, for educators who are interested in creating a networked learning environment in their classroom, here are some of the things to consider: We should continue to research on the pros and cons of networked pedagogy. Doing so should allow us to come up with new innovative ways to help students engaging with the world of people and information, and to consider what are the best tools to doing that. If you are interested, I would like to have further conversations with you on how we can do research in this area, and what resources do we have to refer to. The video above is an awesome, brief re-introduction of PLNs for those who would like to learn more about them.